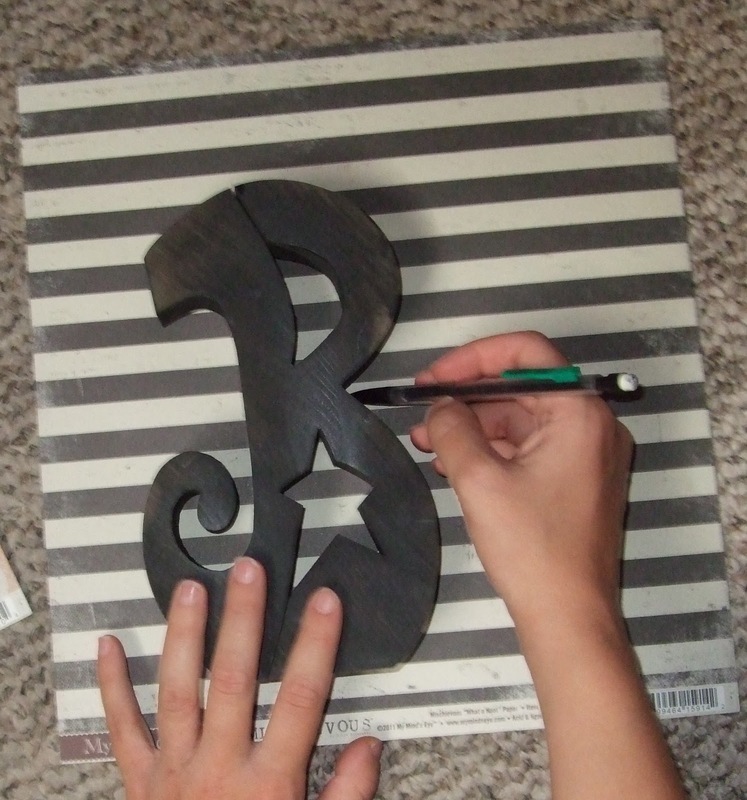 Today I am going to show you how quick, cheap and easy it is to use wood letters to decorate your home! You can do this project to help add a personalized touch to your baby nursery or child’s room, for holiday decor, and much more. I did this project when I was pregnant to decorate my baby’s nursery with her name, as a Thanksgiving as a centerpiece, and now as a Halloween decoration. • Tim Holtz Distress Ink (optional, I did not use this on this project). 2. Trace the letters on your scrapbook paper and then cut out. 3. Adhere the scrapbook paper to your letters with your adhesive. 4. Adhere the scrapbook paper to the letters. An extra step that you can take, that I did not do this time, is to add Tim Holtz distress ink to the edges of the paper on the letters to give your letters more of a distressed look. 5. Apply a very thin layer of Mod Podge to the outside of the letters (even over the top of the scrapbook paper) to keep the paper from coming loose or tearing near the edges. A. I added ribbon and googely eyes to the “B”. 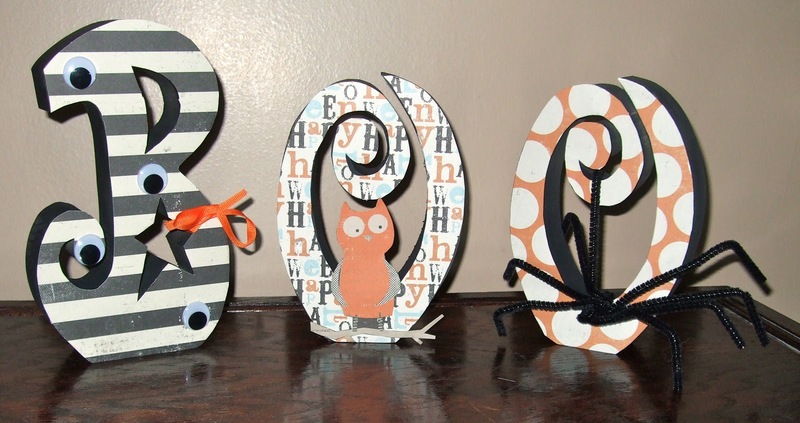 B. I cut out the owl that was on one of my sheets of scrapbook paper and added it to the first “O”. 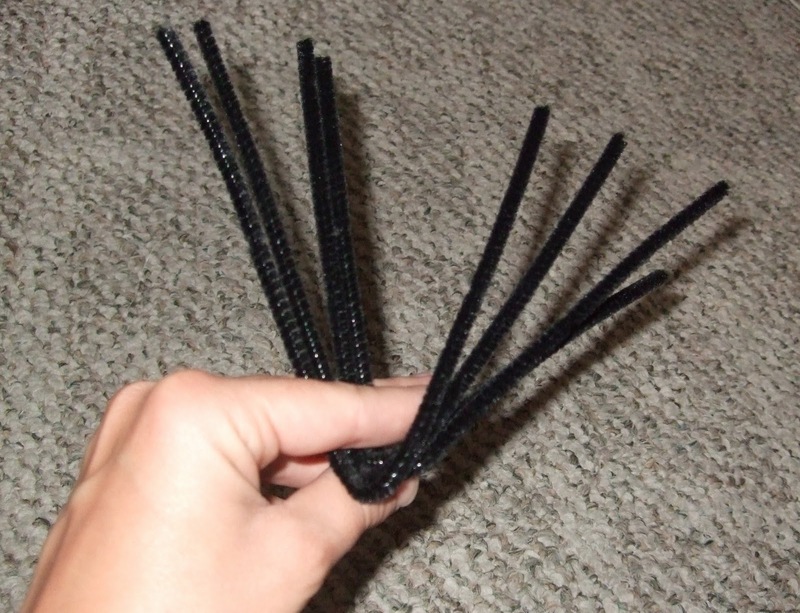 C. I made a spider by twisting 4 black chenille stems together and added it to the second “O”. That’s all it takes! You can do this entire project for between $15-20 or less depending on what supplies you may already have and how many letters you decorate. I hope all of you have as much fun with this project as I did!